In this article you will find a framework for co-constructing success criteria with grade 4 students as part of assessment planning. I strongly believe that assessment is something that should be done ‘with students’, not ‘to students’. And as part of that belief I often feel uncomfortable when teachers sit together behind closed doors and decide what students ought to learn and how best students can show their learning – specifically when it comes to designing success criteria for an assessment tool. How can we expect students to fully engage in learning and demonstration of learning process when they are kept out of the decision-making process about what should be learned in the first place? 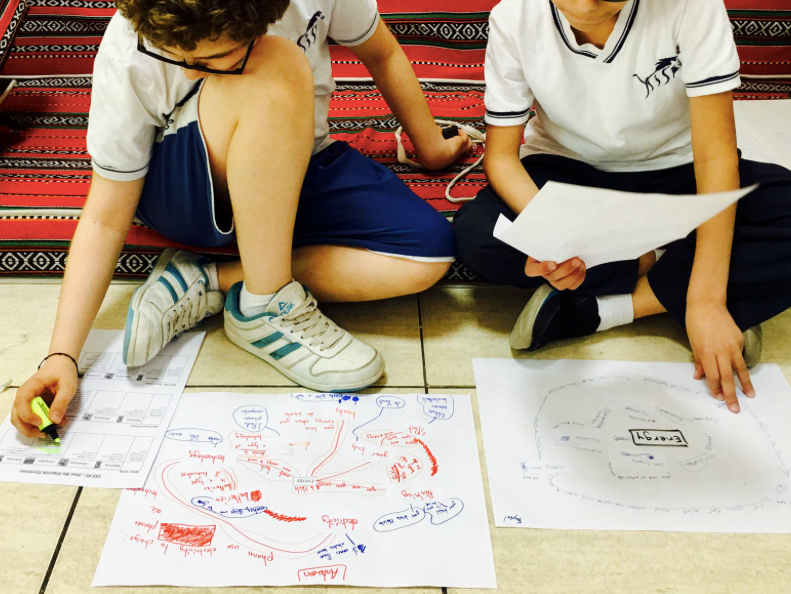 Many PYP educators would agree that co-constructed success criteria—criteria developed by teachers and students together in partnership—is an effective practice. But as with many inquiry-based, student-centered approaches to learning and teaching, the question remains: How do you take that idea and put it into practice with a group of students? 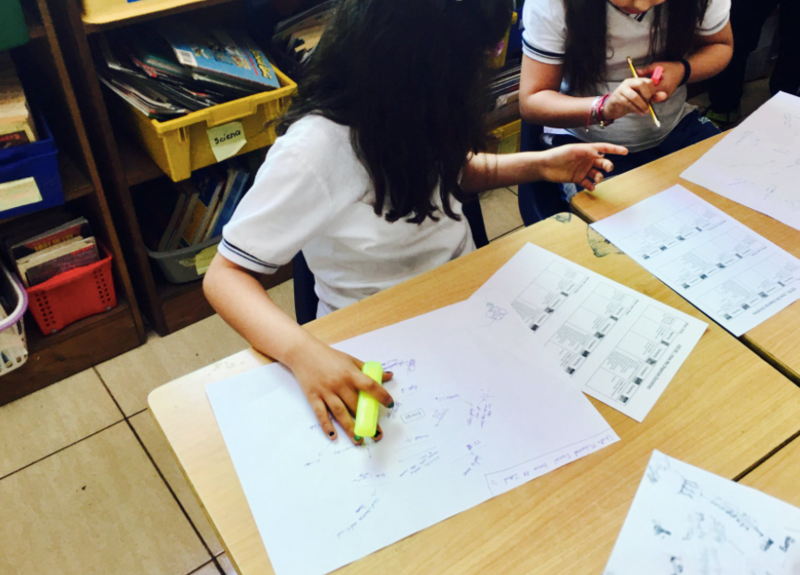 This year, I tested one approach for developing co-constructed success criteria with a group of grade 4 PYP students. I adapted a growing definition thinking routine to help structure the process of getting 23 students and 1 teacher to agree on what ought to be known and understood by the end of a unit of inquiry. 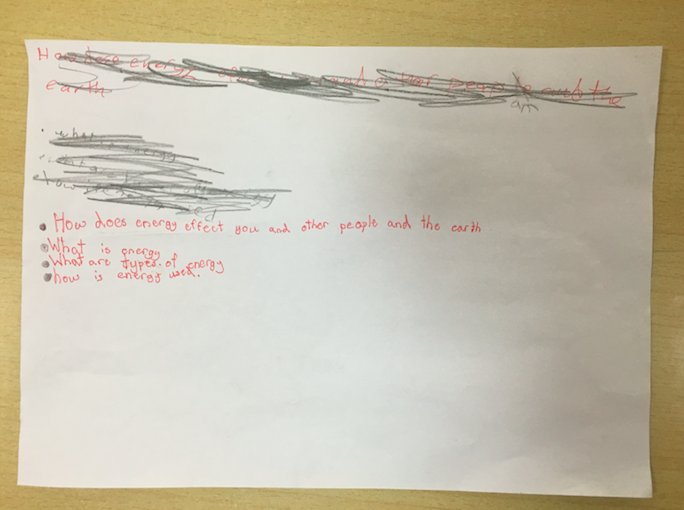 First, I was transparent with the students about why we were going to do the activity and how important I believe it is for them to have an equal say in what ought to be learned by the end of the unit. 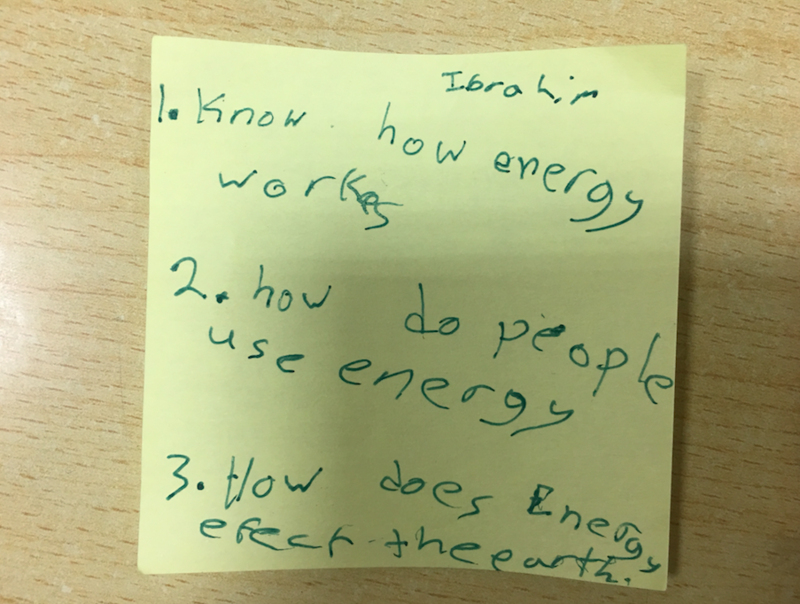 I shared the central idea Decisions about energy can lead to a sustainable future for the unit under the transdisciplinary theme How we organize ourselves that the grade 4 team of teachers had designed and asked the students to think about what they think they should know in order to be able to fully understand the central idea by the end of the unit. Each student individually created their own list. Then, students took their individual list and joined with another student and worked together to synthesize their lists into a new list that represents both of their thinking. Next, two sets of partners would combine and repeat the process. Each set of partners would read their list and the newly formed group of four would create a new list that represented everyone’s thinking. One group of four would then join with another group of four and that group of eight would create a new list that synthesized everyone’s ideas. This pattern would continue until about half the class is working on one list and the other half of the class working on another list. 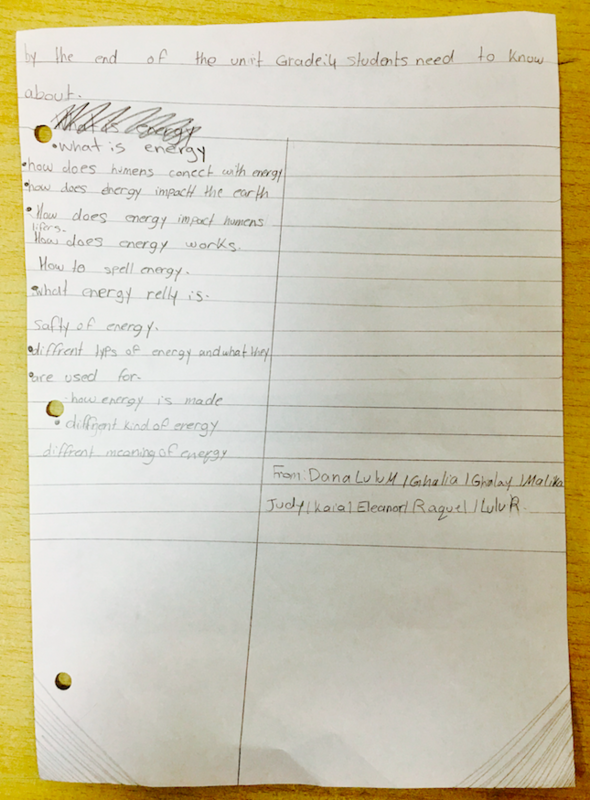 At this point I collected the two final lists so that I could add any criteria that I felt was missing based on the central idea and conceptual understandings that underpinned the unit. I was amazed to see that the final list the students came up with was almost exactly what we as teachers would have come up with behind closed doors. 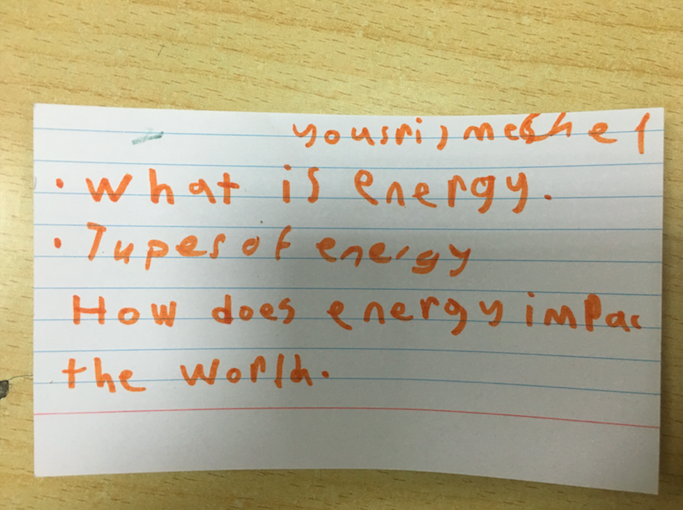 The closer I looked at the list, the more I realized that many, if not all, of the PYP key conceptual lenses were represented as ways to understand and inquire our central concept of energy. From here I typed out the list onto our rubric template and only added one criteria for success that I felt was missing. This rubric became the rubric we used for all diagnostic, self, peer and teacher assessments. Using the growing definition routine turned out to be a great structure for allowing 23 students and 1 teacher to all have their voices and perspectives heard and honoured in the process of deciding what ought to be known and understood by the end of a unit of inquiry. Doing this part of assessment planning with students had many positive implications on student learning and also on our class sense of community. Students had a clearer picture of where they needed to be by the end of the unit. The rubric became a tool that students understood and constantly referred to throughout the learning process and helped our class feel more like a community of learners. We were truly partners in the co-construction process, where our voices were equally valued and included in the decisions that were made. 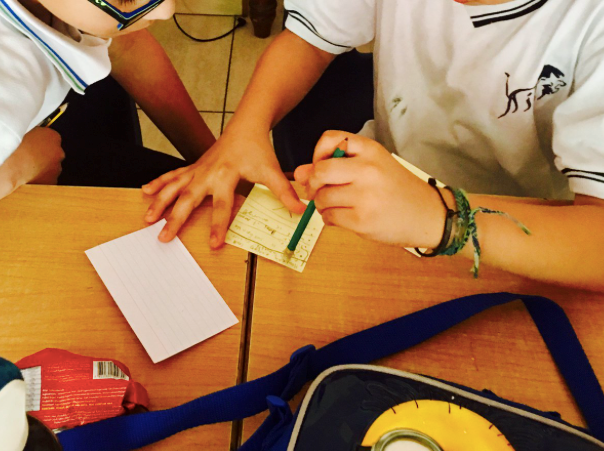 Overall, it felt like a fair and inclusive way to respect and support students’ involvement in their own learning. 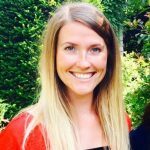 Taryn BondClegg blogs at Making Good Humans which is her small attempt to continue to make sense of the PYP, of inquiry, and of how to make a real difference in the world through education. Taryn has always felt a calling to change the world – to somehow leave it in a better state than we found it. She saw teaching as a way to make this happen. You can follow her on Twitter @makingoodhumans. I totally agree with you Taryn. In our school we take 1 star and 1 wish after the end of every unit and also have student voice in the bubble planner in terms of how they felt the assessment or learning engagements were. However involving students in the process of assessment is crucial for learners constructing meaning for their learning. So happy to see your published work Taryn! I can’t agree enough. Very nice work! 100% agree. Right now is a very fresh way to present different ideas about Science in this case.